What to order: Take your taste buds on vacation by experiencing fresh and authentic pizza made with high quality ingredients in a traditional wood-fired oven that was shipped in from Italy. If you’re in a rush, this pizza joint is the place for you to grab a quick bite. Famous for its “four minute pizza,” Slimms prides itself on the speed of their pizza-crafting, while not sacrificing the quality. They also make the pizza dough fresh every day. The owners of the mom-and-pop business have been in the industry for over 50 years, proving that food is the way to one’s heart. What to order: Free bread sticks and cinnamon sticks with your order during the first and last hour of the day. 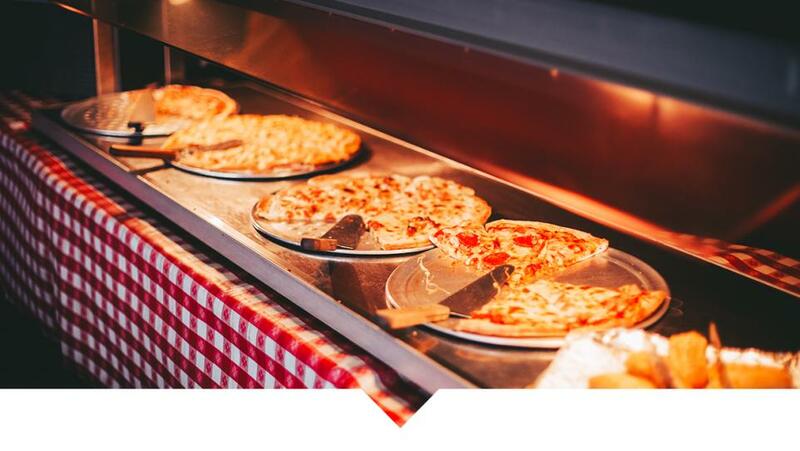 Th pizza buffet at Mama Nitas is for the ultimate pizza lover. Not only does this restaurant provide unlimited pizza during your visit, but they are willing to do a made-to-order pizza, just for you. What to order: Take advantage of the $5.99 lunch buffet or $7.99 dinner buffet. 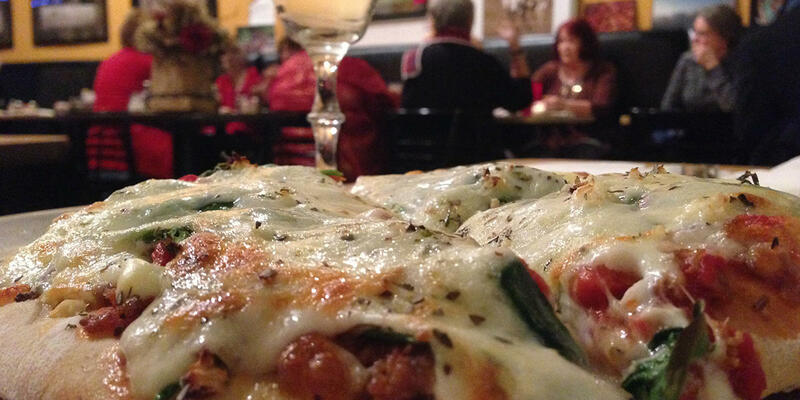 Located a few blocks from Morse Reservoir, DeLullo’s Trattoria is known for the best pizza in the Cicero area. They have different specials every weekend. What to order: Try one of their specialty pizzas, like the Grilled Chicken Alfredo. At Brixx, they only use dairy from Wisconsin cows. The delicious cheese from Wisconsin makes the perfect pair to their fresh house made dough. Brixx also carries local craft beers to enjoy with your pizza. What to order: Think outside the (pizza) box and try one of their taste sensations: Korean Pepper Steak, Mexican, or Sweet Thai Chicken pizza. Did you know that Hamilton County is home to the “Best Pizza in America”? Boombozz Taphouse won the title twice at the International Pizza Championships. What to order: Try one of the pizzas that was voted “Best Pizza in America”: Pollotaté, Fire Roasted Fajita, Portobello Bello, D’Sienna, and more. Enjoy your pizza with a view of the beautiful Carmel Arts & Design District. The Indiana local pizza chain, Bazbeaux, is located where Main Street meets the Monon Trail, complete with a wine bar and outdoor patio where one can enjoy the weather, the sights, and the pizza. What to order: Create your own pizza or choose one of their specialties off the menu, but be sure to get a side of their award-winning garlic bread. This is just the start of your pizza adventure. Check out more local favorites like Jan&apos;s Village Pizza in Westfield and Sheridan, Pearl Street Pizzeria & Pub in Geist and more. For more information on places to eat in Hamilton County, visit our restaurants page and be sure to follow us on Facebook, Twitter and Instagram. Maggie is a senior at Butler University studying Organizational Communications and hopes to combine her love of travel with tourism when she graduates. Born and raised in Indianapolis, Maggie didn't grow up far from Hamilton County. As the PR and Marketing Intern at Hamilton County Tourism, she loves the opportunities to explore the area and help promote the place that makes central Indiana so special.